The opportunity for digital publishers continues to grow - and so do the threats. Traditional media isn’t the best medium for bad guys. The inevitable tipping point when digital advertising overtakes print & television is upon us, according to new estimates from eMarketer. The news is good for publishers - even in a top-heavy market, there’s a lot of spend to go around. 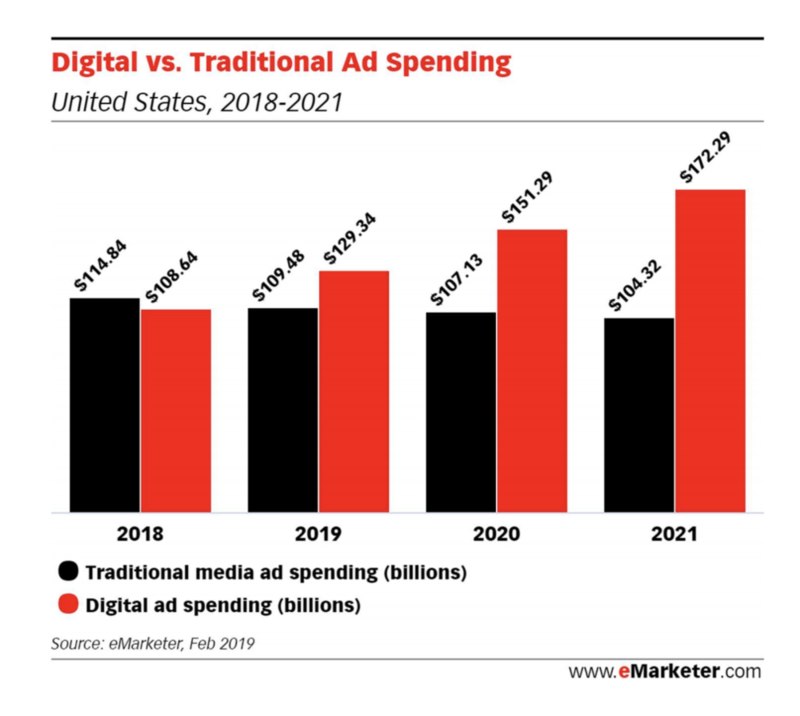 While Google and Facebook are estimated to own about $76 billion (59%) of 2019 dIgital ad spend, that share is down slightly from the previous year. Publishers large and small will be eager to maximize their share of the remaining $53 billion. And that’s great news for ad hackers. DEVCON research shows that 2% of ads on publisher sites are at risk in some fashion, while 0.5% are outright fraud that cost publishers in the form of siphoned impressions, additional operational overhead, and disenfranchised readers. The influx of legitimate demand into the system over the next several years isn’t likely to help - publishers are eager to increase supply to keep pace with that demand. As publishers look for innovative ways to capture larger shares of the digital spend pool, they must also find ways to protect their audience and their brand from increasingly sophisticated and opportunistic criminals. DEVCON is here to help. Whether you’re a publisher, an ad network, or a consultative agency, our ad tech security platform can keep bad ads off your sites, protect your users from fraud and identity theft, and streamline your online ad operations. We’re conducting a study with the folks at AdHack.org that will continue to shed light on this issue, and it’s also an opportunity for you to use our platform for free. Join our Freedom for Media study today and start opening doors for demand without letting the bad guys in, too.